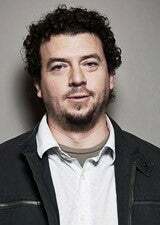 Danny R. McBride has established himself as a talented writer as well as an actor. He caught the attention of Hollywood with his breakout film The Foot Fist Way which led him to visible parts in Hot Rod and The Heartbreak Kid. 2008 brought bigger roles in Drillbit Taylor, Pineapple Express and Tropic Thunder.